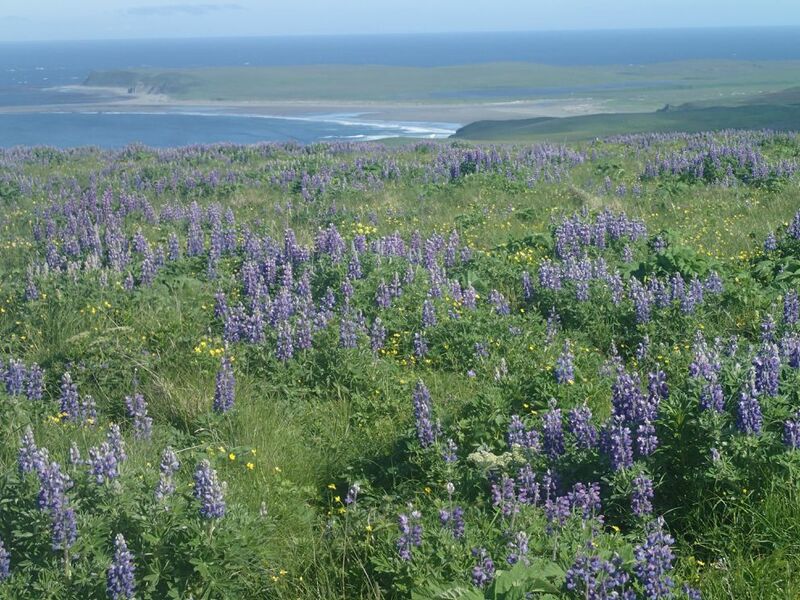 Half a century after they were exposed by storm erosion, plucked out of the ground and sent on a long journey to the U.S. Midwest, the bones of Kodiak-area villagers are back in their home region. Fifty-one boxes of human remains from the abandoned Alutiiq village of Ukamuk, a site on Chirikof Island in the Kodiak archipelago, were welcomed back last week with an evening ceremony at the Alutiiq Museum in Kodiak. The remains are from more than 100 people who had been buried in a cemetery used until about 1870. The returned collection also included remains of six additional Alutiiq people who lived in earlier times in other Chirikof settlements. Nearly half of the dead have been identified, thanks to some partially burned Russian Orthodox church records that were translated to English from the liturgical Slavonic language — and some family names are the same as those of contemporary Alutiiq people. Those whose names were found range from 70-year-old Ilia Aliugli, whose cause of death was listed as "old age," to 1-month-old Moses Napovchen, who was said to have died from "cold" and who was one of many infants and children buried in the now-destroyed cemetery. 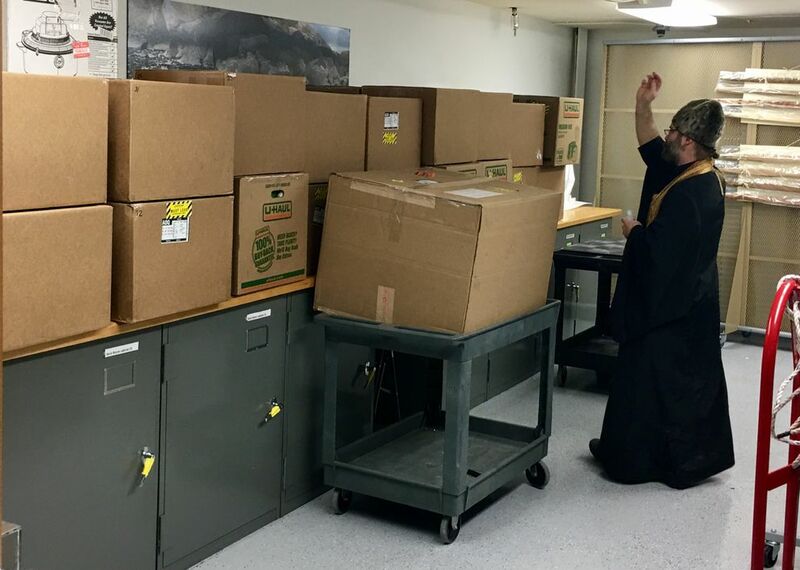 At Thursday's ceremony at the Kodiak museum, which drew about 20 people, a Russian Orthodox priest delivered a blessing for the dead called the "Panikhida," and sprinkled holy water over the boxes, said April Laktonen Counceller, the museum's executive director. One of the descendants also left a picture of a religious icon on top of the boxed-up remains. Some of the boxes bore the name "U-Haul." Counceller said she is happy that the deceased got a respectful remembrance and have their remains back in their homeland. "I wanted these people to finally start to feel the love again. I wanted them to know they're going to be honored from here on out," she said. "Their long journey is finally over." The Chirikof repatriation, several years in the works, was the second-biggest in Kodiak-area history, following the Smithsonian Institution's return of the human remains excavated in the 1930s from the village of Larsen Bay. That involved remains of about 1,000 Alutiiq people — dating as far back as 1,000 years ago — and is considered a landmark case under the then-new Native American Graves Protection and Repatriation Act. The Larsen Bay remains had been drawn out of Alaska by Ales Hrdlicka, a Smithsonian anthropologist who was well-regarded in his day but who, in contemporary times, is criticized for practices considered disrespectful to indigenous people. 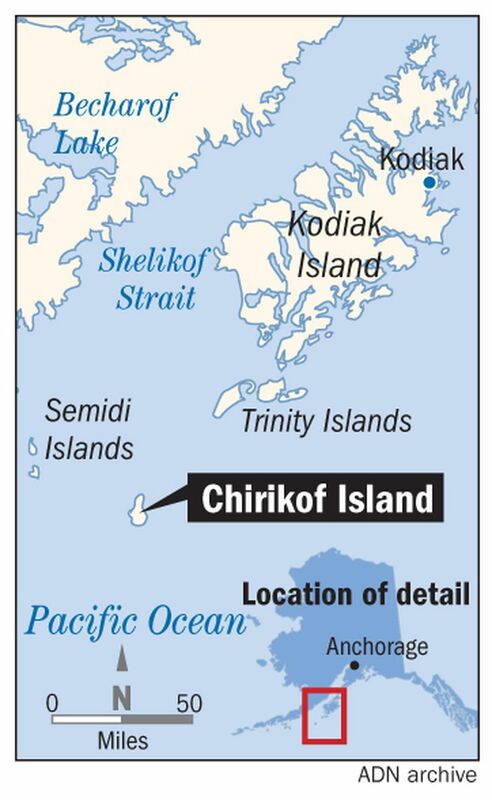 As with the Larsen Bay case, the Chirikof Island case has been fraught with hard feelings and accusations of disrespect. Counceller and others in the Kodiak region believe university officials who held the remains and used them for study were uncooperative and resistant to repatriation efforts. It bothers her, she said, that people have gotten degrees and tenure based on the benefits "of having our relatives to test on and experiment on" — without seeking permission or expressing gratitude. "You don't have to be Native to be horribly offended by what happened," said Counceller, who is Alutiiq herself and a tribal member of the Native Village of Larsen Bay. The Chirikof remains were held at the University of Wisconsin-Milwaukee before winding up at Indiana University, where they stayed for several years. A legal dispute that extended over a decade ended last year when agents from the U.S. Fish and Wildlife Service and U.S. Army Corps of Engineers went to Indiana to take the collection from the university. Up to then, there had been some uncertainty about who was responsible for the remains, said Jayne-Leigh Thomas, the university's Native Graves Protection and Repatriation Act director. While the Indiana University had possession, it did not have legal ownership, putting the institution into a gray area under the act, she said. Counceller credits Thomas — who only learned about the Chirikof case in 2015 and who is seeking to return other collections of indigenous remains — with helping to resolve the impasse and get the remains back to their rightful place. But she is critical of one Indiana University anthropologist, Della Cook, who used the Chirikof remains for some of her studies into past health conditions. She accuses Cook of failing to relinquish documents that would provide important information to the Alutiiq people about their ancestors. "It's really an old-school sort of attitude," Counceller said. But Cook defends herself and her university. "In my opinion, Indiana University was entirely cooperative, as was I. 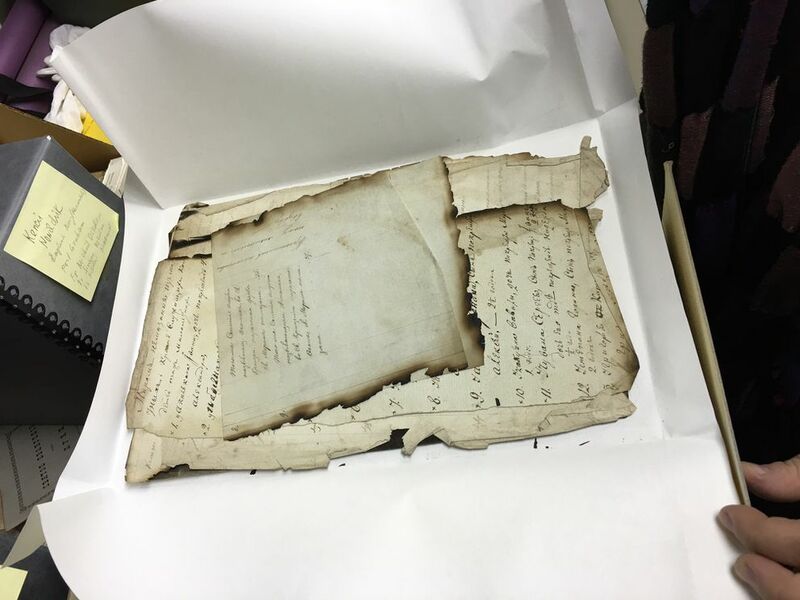 The Chirikof remains were on loan here from University of Wisconsin for a research project, and they were never part of the collections at Indiana University," she said in an email sent Friday. Cook said she sent whatever information she had about the collection — including copies of her work and her students' published work — to authorities in Alaska and that she responded properly to requests from the U.S. Fish and Wildlife Service and U.S. Army Corps of Engineers. "Apart from a brief description prepared at University of Wisconsin shortly after the remains were excavated that has been available to all concerned, I have no documentation of the collection other than the data that my former students and I have collected. Those data are summarized in our published work," she said in her email. And she was cooperative when officials from the Fish and Wildlife Service and other agencies came to collect the remains, Cook said. "It is good to know that the remains have returned to Kodiak," she said. The museum is only the second-to-last resting place for the deceased Ukamuk villagers. Their remains will be reburied at a yet-to-be-chosen site. The Sun'aq Tribe of Kodiak has been given authority over the remains and will chose a site for reburial, Counceller said. Possible sites are the existing Kodiak cemetery or a new memorial site dedicated specifically to returned remains, she said. Reburial is expected in a few months, after all available information about the collection is inventoried and made public, through a Federal Register notice, and after the Sun'aq Tribe picks a site, Counceller said. The village of Ukamuk, about 100 miles south of Kodiak Island, was abandoned after the U.S. takeover of Alaska in 1867.